When you see a secondhand item and you are just not sure if you should purchase it or take it (if it’s free), consider the commandments below to help you with your decision. Thou Shalt Look for Tags – Look for a tag by looking underneath the item. If the tag says IKEA it is best to leave it. Since Items from IKEA are best used by one user. One the other hand if it is a good furniture brand, you should consider investing in it. 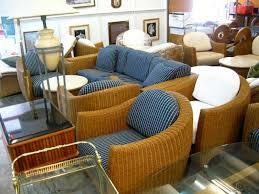 Honor Thy Lines – You need to look at the furniture’s frame and not at the not so clean fabric. If the lines are good and what you are looking for, it is a good investment. Thou Shalt Not Worship False Furniture – If you are not concerned about where it was built or the brand, look at the quality of the construction. What type of wood has been used? Has it been nailed or held with hardware? Etc. 4. Thou Shalt Sit On It – You need to make sure your furniture is comfortable, therefore you should sit on it. Thou Shalt Examine Any Cushions – Since foam is expensive, take the cushion covers off and have a good look at the foam. The foam should be firm and not hard as rock or crumbly. Be Not Afraid of Simple Fixes – A few scratches on a coffee table are not a problem. Thou Shalt Not Kill Strong Odors and Pests (Easily) – Getting bed bugs or strong odors off furnishing is not easy and therefore you should think twice on such a purchase. Thou Shalt Not Bear False Witness to Your Wallet – Even if the item is cheap, include the price of getting it re-done into the cost. Thou Shalt Not Covet – Do you have the space for this item and is it necessary.